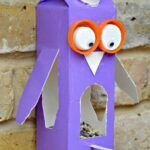 We also have a Juice Carton Owl Bird Feeder we made in the Summer, and some “traditional” bird cakes post. 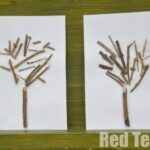 1) As you can see from the materials, this really IS an easy craft. 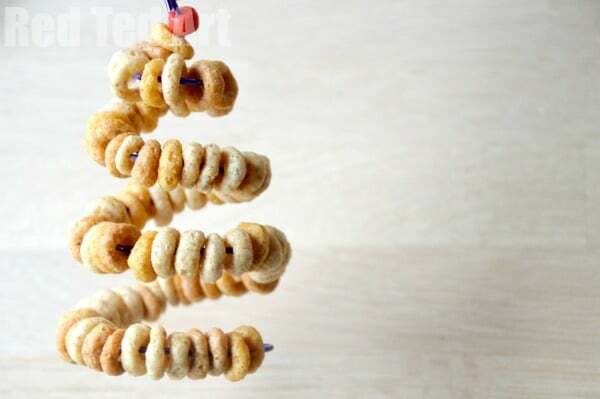 To be honest, you can just string your cheerios on a straight piece of pipe cleaner or wire to make your Cheerio Bird Feeders. However, we like to play a little with out wire. We had a go at shaping hards and making some “Christmas Tree” shapes. 2) I recommend shaping your wire FIRST. 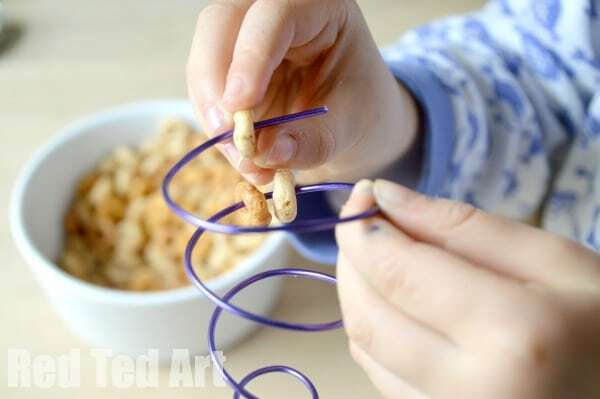 Once the Cheerios are on, it is harder to handle the wire and you are likely to break off the Cheerios! So shape them into your desired patterns. We made 3 different sized hearts and the aforementioned “tree”. (For the tree, I wrapped the wire around a thin glass and then reshaped it a little once off). 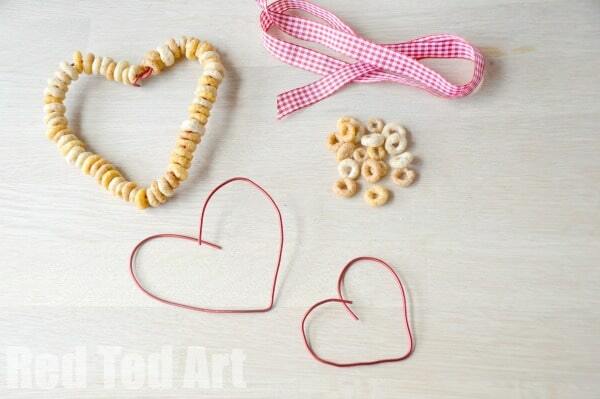 3) Get the kids to thread on the Cheerios. Two on the bird feeder, one in the mouth… ahem. Anyway, they enjoyed the “beading” and threading on all the Cheerios to make their on bird feeders! 4) Once full, I carefully twisted the wires together to “seal” the ends. 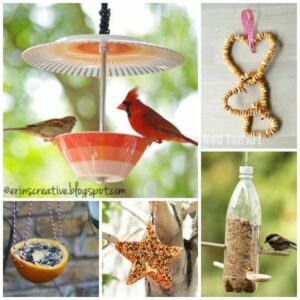 5) Add a ribbon for hanging and your Cheerios Bird Feeders are done. Don’t they look sweet? 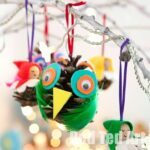 Hang in a tree (ideally where it isn’t too wet!) and wait for the birds to come! 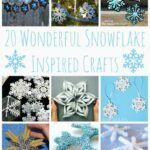 Love these.. Amongst all the buying and wrapping and consumerism surrounding Christmas this project is perfect. Thanks Maggi, we will be doing this with our son son this weekend ! Very, very cute.. Love these!! Great idea, I’m going to attempt it with my daughter’s preschool class for Valentines Day. 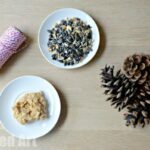 It looks easy for me to prep the materials at home and then simple for kids to fill Cheerios in class. Thanks for the idea. 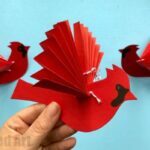 We did these for 2nd grade Valentine’s party. We used red pipe cleaners we got at the hobby shop. All the hearts were the same size and did not have to cut anything. Very easy to close the bottom. 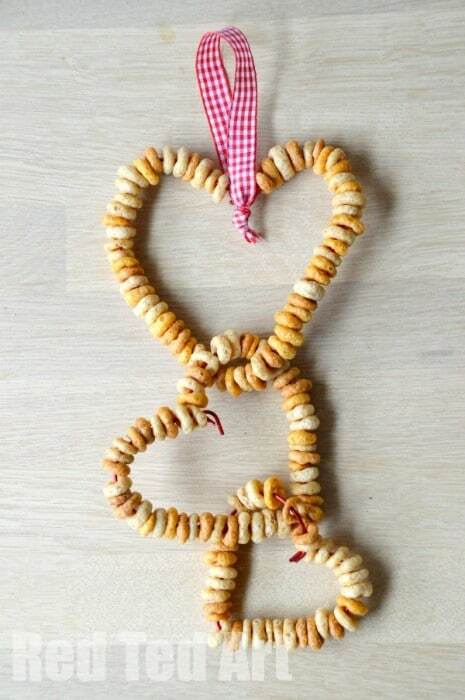 We also used curly ribbon which worked out great.